But as I thought about putting together my comments, I realized there are many significant issues that are almost impossible on which to comment. There are so many questions raised in the deeming document about what the proposal would even look like if implemented. It’s just one of the reasons the FDA should grant the Cigar Association of America extension. To that end, here are just a few questions the FDA should answer so the public can submit informed comments about the proposal, not just ones based on an overly vague proposal. What counts as a new cigar? 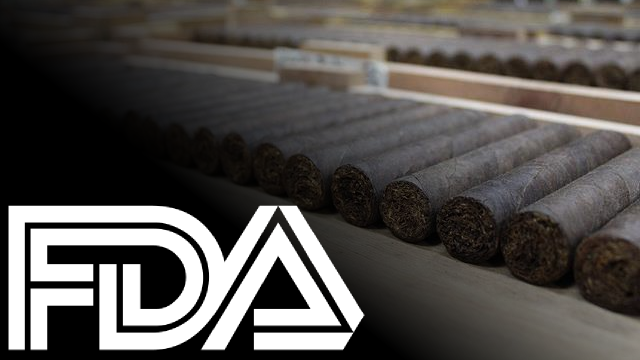 Under the FDA proposal, new cigars (or, under Option 2, new cigars that don’t meet the definition of a “premium cigar”) must receive the approval of the FDA before they can be sold. Is a new line of five sizes of the same blend one new product or five? Is an annual release of a cigar a new product, or just the same as a previous one? What if the factory where a cigar is made changes, or the sources of tobacco change? Does that make a cigar new? Does the FDA even have the capacity to regulate cigars? So far the FDA has approved or denied only 34 out of roughly 4,000 pending applications for new products. Given its current budget constraints, does the FDA have the capacity to rule on the hundreds or thousands (depending on the definition of a new cigar) of new cigars that are released in a given year? What would be necessary to list the ingredients of a cigar? One of the rules cigars would have to meet is a “required submission of ingredient listing” to the FDA. Is 100% tobacco leaf adequate? Would manufacturers be required to list the types of tobacco and where they were grown? What constitutes the “distribution of free samples”? The proposal includes a “prohibition on the distribution of free samples,” but would that include only samples to consumers? What about free samples at a trade show, or to professional reviewers? Would a buy-one-get-one-free promotion violate this prohibition? Would this only apply to manufacturers, or also to professional tobacconists who might want to give a favorite customer a new cigar to try for free? What qualifies a cigar as containing “primarily long-filler tobacco”? The FDA proposal states that under its option for a premium cigar exemption a cigar could qualify if it “contains primarily long-filler tobacco.” Would a Liga Privada Papas Fritas count? It uses clippings from the $10+ Liga Privada No. 9 cigar, but also some long-filler. Would 51% be adequate and, if so, how is that measured? What do you mean by “characterizing flavor”? Where did the $10 price floor come from in your option for a premium cigar exemption and how is it applied? We’ve already covered the problems with the $10 number before. Did this number come from any government or scientific sources, or is it completely random? Also, how is “a retail price (after any discounts or coupons) of no less than $10 per cigar” determined? If the suggested retail price is $10 but it is sold by one retailer for less, is that a violation? And, if so, who violated the rule: the manufacturer or the retailer? This is like trying to regulate salt ! crazy ! and I didn't speak out because I wasn't a communist. and I didn't speak out because I wasn't a socialist. and I didn't speak out because I wasn't a trade unionist. and I didn't speak out because I wasn't a Jew. and I didn't speak out because I wasn't a Catholic. and there was no one left to speak for me. Thank you for your time and God Bless. © 2019 The Stogie Guys. All Rights Reserved.